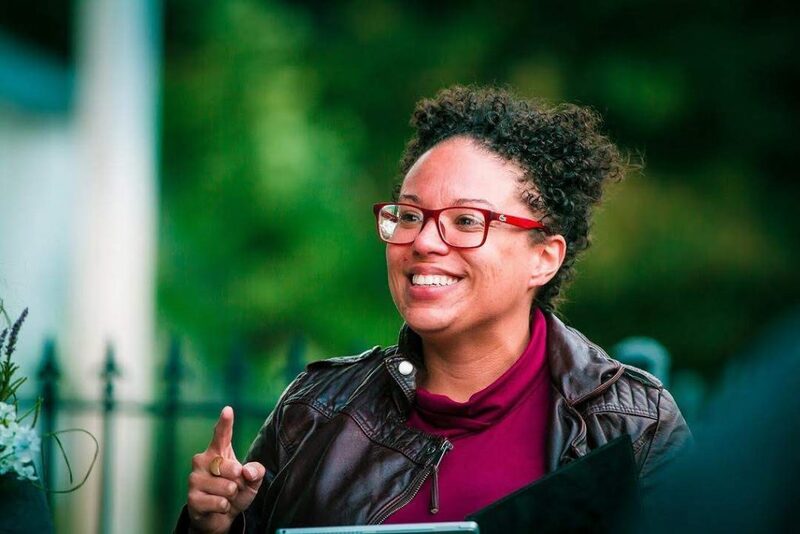 Brooke Harris joins ioby as a fearless and tenacious Detroit Action Strategist. Working in schools, she quickly became renowned as a fighter for social justice. “We started an after-school social justice league, trying to make positive change in our school–getting things like textbooks, and things like that.” That commitment drives her everyday work, and it’s gotten her in a bit of (good) trouble, too. A few years ago, after having been introduced to ioby in her Masters program, she decided to start her own ioby project to bring Hollaback! to Detroit. “Hollaback! Detroit started when I returned into the service industry, I was a barista and that was an interesting intersection of identities.” Her project sought to tackle pervasive street harassment by creating street art that stands in solidarity with women, trans and gender nonconforming people, and other people who are harassed in public, and also reminds people who catcall and harass people on the street that their behavior is not ok.
Having led her own ioby project, Brooke is keenly aware of just what it takes to get good done in your neighborhood. When she’s not on the ground across Detroit helping neighbors get good done, Brooke loves spending time with her pups. She has a BIG heart for rescue dogs, and already has three of her own. 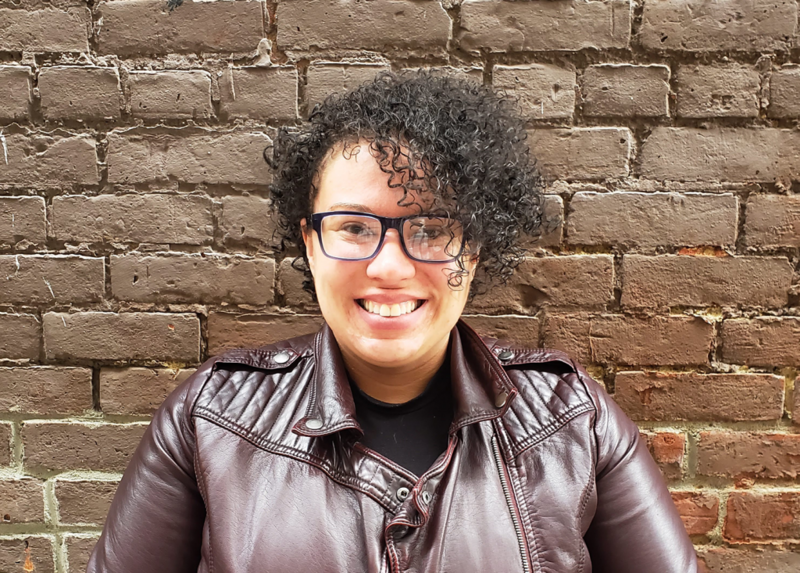 Brooke might not be quite ready yet to serenade Detroiters with her guitar skills, but she is ready to hit the ground running and help you get good done on your block. Want to get started? Share your idea, and we’ll help you get started crowdfunding to get good done.